¡Asi se dice! 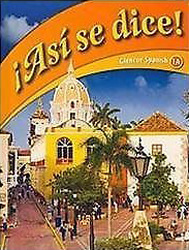 1A and 1B is the middle school split version of ¡Asi se dice’s! Level 1 program. This two book program integrates language and culture through high-interest topics.